The 28-year-old Omega Pharma - Quick-Step rider has already missed the Gent-Wevelgem, Driedaagse De Panne and Tour of Flanders because of the illness. "I am sad to miss a race that is very close to my heart - my first win as a professional," the Manxman said. "With a team built around me, I wouldn't feel right in asking my team-mates to sacrifice themselves if I'm not in condition to perform." 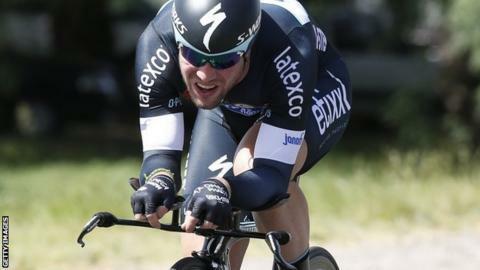 Team manager Patrick Lefevere says there may now be a rethink about Cavendish's race programme. He said: "He will probably be at the Tour of Turkey (27 April-4 May), at the Giro (9 May-1 June) and the Tour of California (11-18 May)."